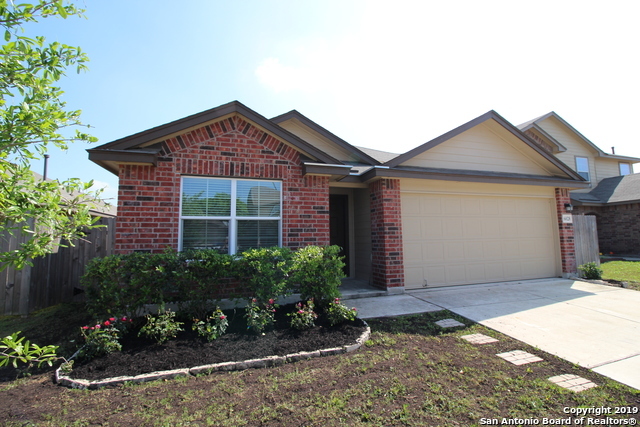 All MILLER homes currently listed for sale in San Antonio as of 04/24/2019 are shown below. You can change the search criteria at any time by pressing the 'Change Search' button below. "Come and see this charming 4 bedroom, 2 bathroom home upgraded with granite countertops throughout the house, featuring a large modern kitchen with an eat-in breakfast bar and 9 ft ceilings. The kitchen opens up to a spacious family room that extends to a covered patio perfect for outdoor dining. Enjoy a garden tub with separate shower in the master bathroom and a large walk-in closet. Situated at walking distance to schools and bus. This property makes the perfect starter home at an ideal locat"